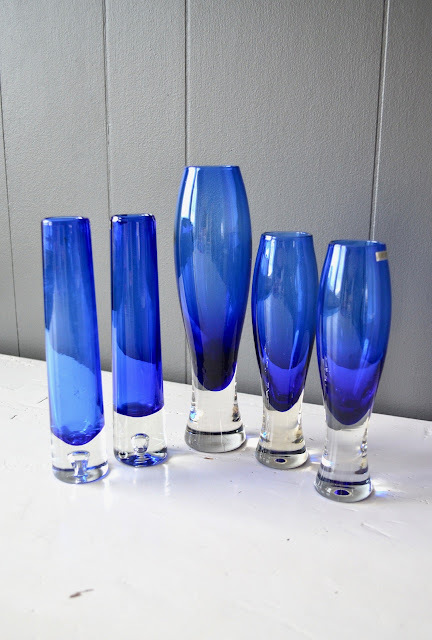 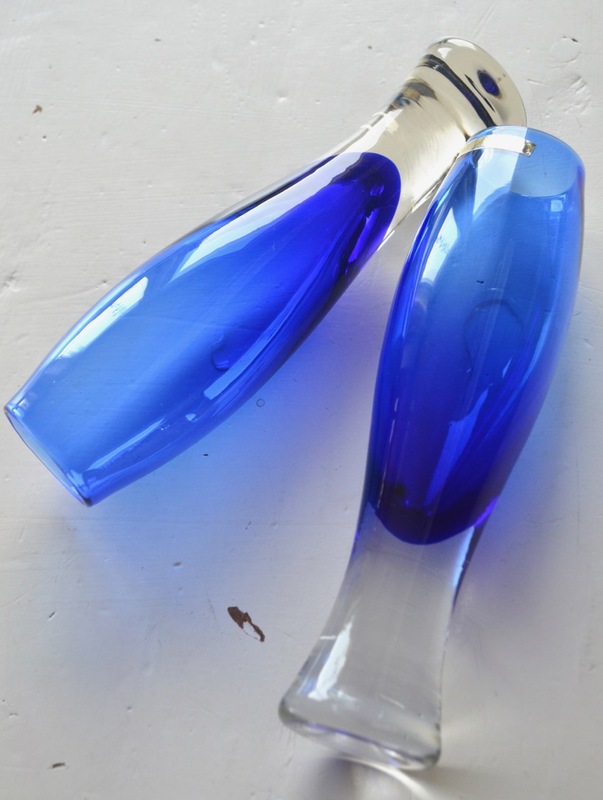 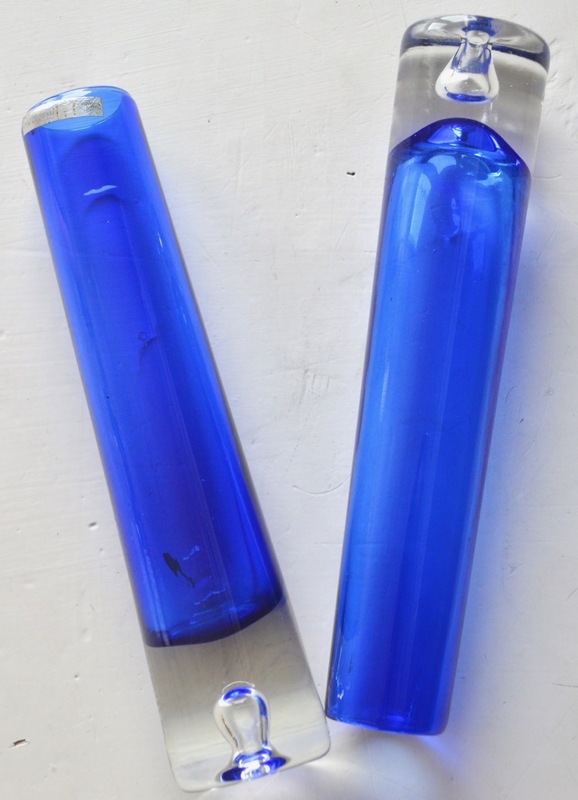 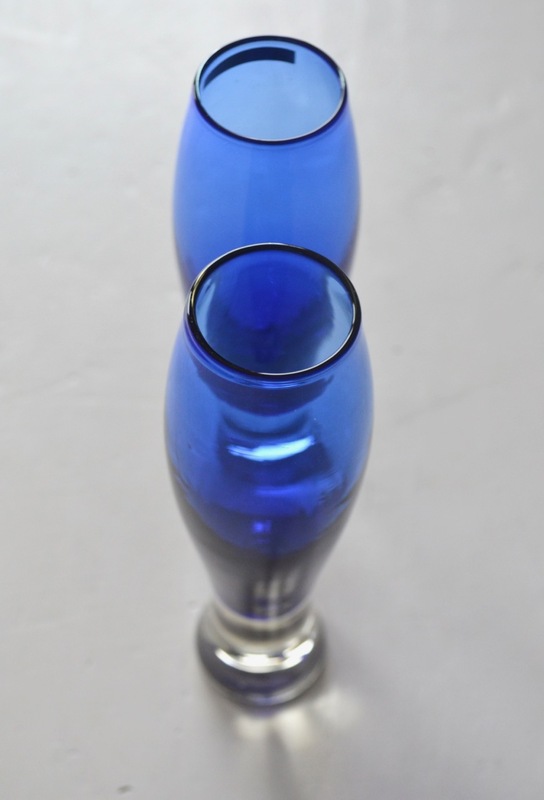 Hadeland Glassverk of Norway has a stunning line of cobalt blue vases designed by Willy Johansson (1921-1993) in the 1970´s. Johansson´s started working for Hadeland in 1936 as a third generation of glass makers. 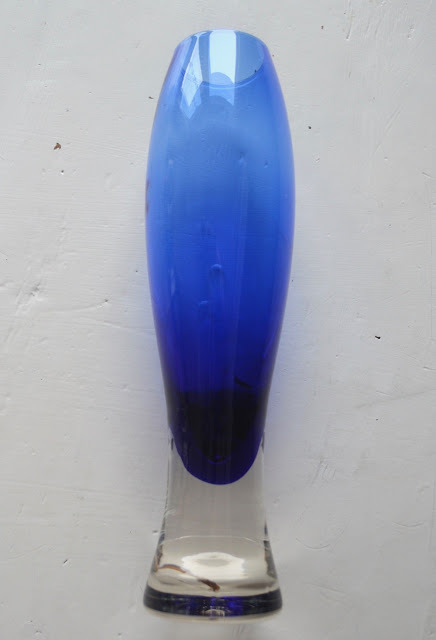 He started working as a designed in 1947 and worked there until 1988. Among the hundreds of pieces he created for Hadeland, there is this line of blue tall vases with clear glass bases. These were not produced only in blue, but the blue version of this line of vases is the most valued one. Maybe the most famous one is the bubble glass vase, the tall and thin vase with a bubble on the bottom. 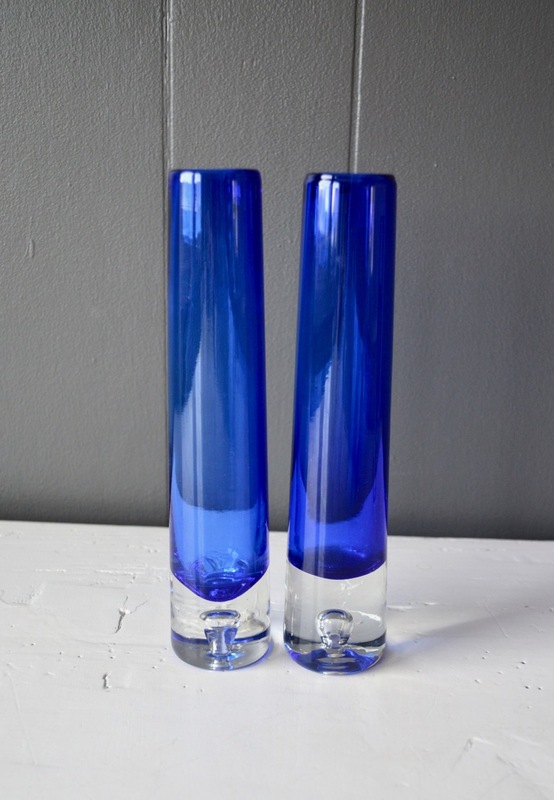 We have a pair of those in stock, the small ones with 20cm tall and 3cm diameter. 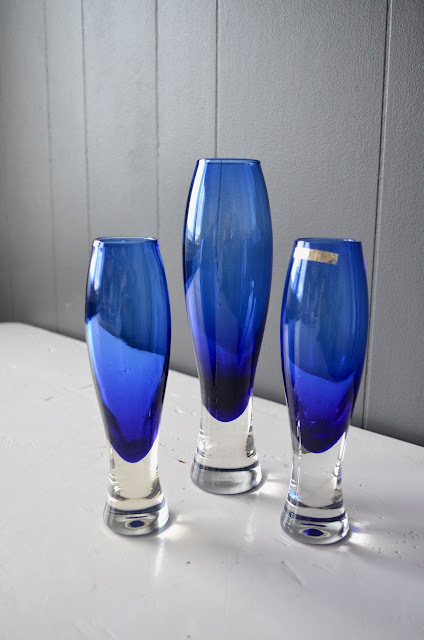 Just as beautiful as the tall ones.